In August 1940, United States Attorney General Robert H. Jackson appointed a new graduate of Harvard Law School, John F. Costelloe, to serve as a junior attorney in the U.S. Department of Justice’s Claims Division (today, the Civil Division). A year later, shortly after Jackson had been appointed an Associate Justice of the U.S. Supreme Court, he hired John Costelloe to be his first law clerk. Costelloe’s work was superb and Jackson liked him a lot—he asked him to stay for a second year and, as it neared its conclusion, he mentioned to Costelloe that he could stay for a third… only to learn that he wished to move on to law practice. So Justice Jackson mentioned to his son William, then a second year student at Harvard Law School and a member of the Harvard Law Review staff, that he would be needing a new law clerk starting that summer. it seems probable he will be rejected. think he is a find. need someone before that, perhaps he is out. Review office. – He’s a good man. Phil Neal did flunk his U.S. Army physical, and he also heard from Justice Jackson. At his invitation, Phil travelled to Washington, Jackson interviewed him, he liked him, and he quickly hired him to be his law clerk for the next year. Phil Neal graduated from Harvard Law School at the start of October 1943. He then, a week or so later, took the Illinois (his home state) bar examination, despite not having time to study for it or to take a bar review course. It was Justice Jackson who insisted that Phil Neal take the bar then, before he started clerking. Jackson explained that he was looking out for Phil’s later career (and apparently Jackson was not considering that Neal might flunk the bar—but he passed). 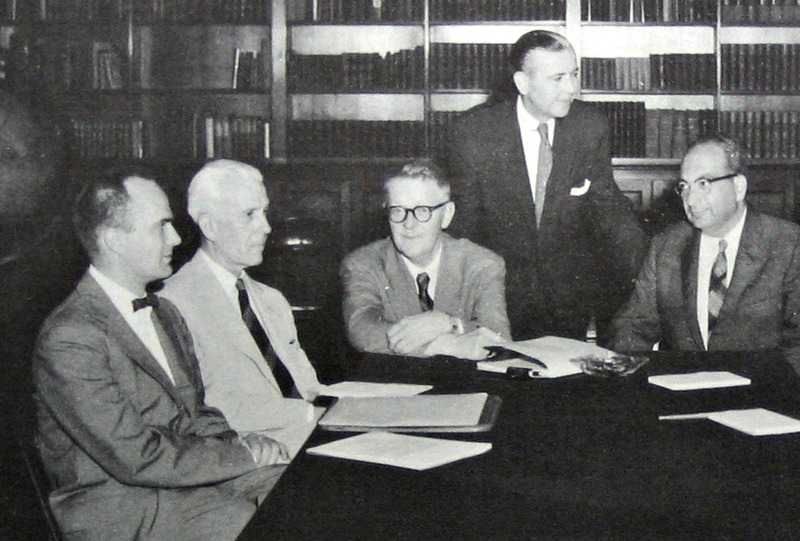 Jackson described how in 1936 President Roosevelt could not appoint Jackson’s excellent Treasury Department Revenue Bureau deputy counsel to succeed him as counsel when the President appointed Jackson to serve in DOJ because the deputy, always busy with his government work, had never gotten around to taking the bar. By mid-October 1943, Phil Neal was working for Justice Jackson. Phil served as Jackson’s law clerk for almost two years—during the first year, Jackson asked Phil to stay on for a second year and he accepted. They got along well. Jackson had high regard for Phil, and he liked and admired the Justice. During Phil Neal’s clerkship years, between Fall 1943 and Spring 1945, he reviewed many petitions seeking Supreme Court review of lower court decisions and wrote short memoranda to Jackson, each summarizing a petition and advising Jackson to vote to grant or to deny review. Jackson’s opinion for the Court in Cramer v. United States (1945) (reversing treason convictions). Frankfurter promptly took Phil by the elbow to Frankfurter’s chambers, called his friend Alger Hiss of the U.S. Department of State, and told him about Phil Neal. Hiss then was working at Dumbarton Oaks, heading up U.S. preparations for the imminent San Francisco conference that would create the United Nations. Hiss and Neal then met, and Hiss—himself a former Supreme Court law clerk, to Justice Oliver Wendell Holmes, Jr.—hired Neal on the condition that he could free himself from Supreme Court work. Phil Neal promptly contacted Murray Gartner, a Harvard Law School mate whom Jackson already had hired to succeed Phil, beginning a few months hence. Phil explained the situation and ascertained that Murray could start the job immediately. Phil then presented the scenario to Jackson and asked to leave his clerkship. Jackson, liking Phil, feeling covered by Murray Gartner’s availability, and understanding the attraction the State Department opportunity had for Phil, said yes. Indeed, just a few weeks later, when President Truman contacted Jackson and asked him to take on a post-war legal assignment, to negotiate and then to lead the international criminal prosecution of the surviving Nazi leaders… Well, Jackson in a sense followed Phil Neal’s lead—he also left the Supreme Court, if in his case only temporarily, to work on global legal challenges, for what became his year-plus as U.S. chief prosecutor at Nuremberg. During Spring and Summer 1945, Phil Neal worked for the State Department, first in Washington and then in San Francisco. As a member of the State secretariat staff, he worked on the establishment of the United Nations, and particularly on the International Court of Justice provisions in the draft U.N. Charter. After leaving government work and passing his second bar examination, Phil Neal stayed to live in San Francisco. He became an associate at Pillsbury, Madison & Sutro. In 1948, he became an associate professor at Stanford Law School. In 1952, he became a professor. His courses included Administrative Law, Agency, Bills & Notes, and Constitutional Law. You surely deserve to be congratulated on your momentous victory. Some may think the result merely the inevitable course of history—or pure politics, as some choose to believe—but I’m sure that you and your colleagues could show that it came at this moment and in the form it took because of years of able planning and advocacy by lawyers. Related, one of the U.S. Supreme Court cases that Phil Neal later argued and won was a 1986 case, Pasadena City Board of Education v. Spangler, a class action challenging the constitutionality of racial segregation in a California high school system. 1958, L-R: Phil Neal (Stanford), Charles Fairman (Harvard), Julius Goebel (Columbia), L. Quincy Mumford (Librarian of Congress) and Paul Freund (Harvard). In 1962, Phil Neal, after thirteen years on the Stanford law faculty, became a professor at the University of Chicago Law School. The next year, he was appointed Dean. He succeeded Edward H. Levi, who after twelve years as dean had become University provost—and who in 1975 would become U.S. Attorney General. Phil Neal served as the Dean of the University of Chicago Law School, one of the nation’s great law schools, and one that rose in strength under his leadership, from 1962 until 1975. While serving as Dean, Phil also served as executive secretary of the Coordinating Committee of the U.S. Federal Courts, charged with administering the massive volume of electrical equipment antitrust cases, and in that capacity he drafted the statute creating the Judicial Panel on Multidistrict Litigation. He also served as Chairman of the White House Task Force on the Antitrust Laws, appointed by President Lyndon Johnson. 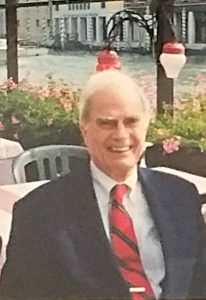 After Phil Neal in 1975 completed twelve years as Chicago’s law dean, he remained on the faculty, teaching courses in Antitrust (sometimes co-teaching with a leading economist), Constitutional Law, Elements of the Law, and Legal Ethics, and a Supreme Court seminar that sometimes met in his home. He also practiced law as Of Counsel with Friedman & Koven, a Chicago firm. In the 1980s, when Phil Neal was in his sixties and academic institutions still could legally mandate faculty retirements because higher education was exempted from the federal law barring age discrimination in employment, he retired, at least formally, becoming a professor emeritus. 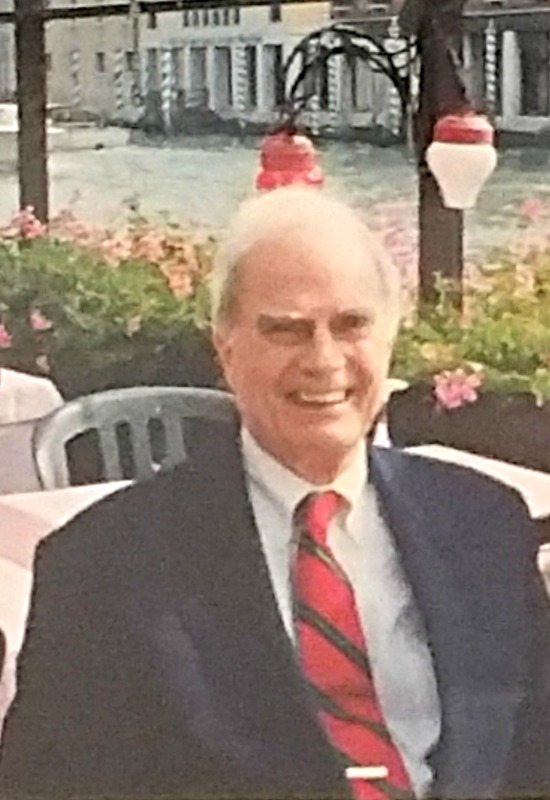 Phil Neal, in full health and energy, and at his core a brilliant lawyer who loved his profession, then continued, and increased, his law practice. In 1986, with thirty-four other lawyers, he founded Neal, Gerber & Eisenberg. Today the firm has well over one hundred lawyers. Phil helped to build the firm and practiced there very actively for decades, focusing on trial and appellate litigation in business law areas including antitrust, securities, bankruptcy and corporate law. 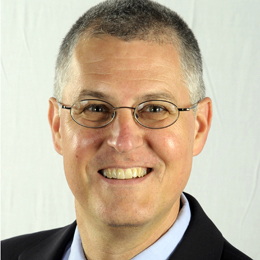 He served on the firm’s executive committee until recently. October 2002: Phil Neal in Venice, Italy. Phil Caldwell Neal’s extraordinary life ended last month. I was very lucky to know him, and to learn much from him about Robert H. Jackson—Phil savored his memories of Justice Jackson, admired him greatly, and regarded him as a very important life influence. My even greater fortune, shared with many thousands, was to learn from Phil Neal about greatness in all the ways that he was. He was dauntingly smart. He was a stickler for clarity, in analysis, in writing, and in speech. He was reflective—he could seem even taciturn at times, but that was because his wheels turned so fast, and sometimes they were grinding up weak ideas that had been presented to him. He held himself and others to very high standards. He had humility, decency, and humanity—he was, at his core, kindly. And he believed deeply in the rule of law, and in the legal profession as a force for good. In all of these ways, he was a leader, a motivator, a guide, a teacher. And he did quite well, by the way, with a U.S. Army-certified bad heart. 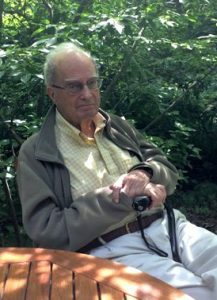 July 3, 2016: Phil Neal at his home in Sawyer, Michigan. An obituary from Phil’s neighborhood paper, the Hyde Park Herald—click here. This entry was posted in Uncategorized and tagged Felix Frankfurter, Jackson List, John Costelloe, Justice Felix Frankfurter, Justice Robert H. Jackson, law clerk, Murray Gartner, Nuremberg, Phil Neal, Robert H. Jackson, Supreme Court, William E. Jackson, William T. Coleman on October 22, 2016 by jqb.